Haunting Boom-Bap Beats Lay the Foundation for Two Emcee's to Brutalize the Tracks with Spiritual, Mystic, Theological and Prophetic Raps. This is 'Solomon Cain', Consisting of Jeremiah Dirt & Khonsu (of 'Shadow of the Locust' Fame) as Producers and Lyricists. 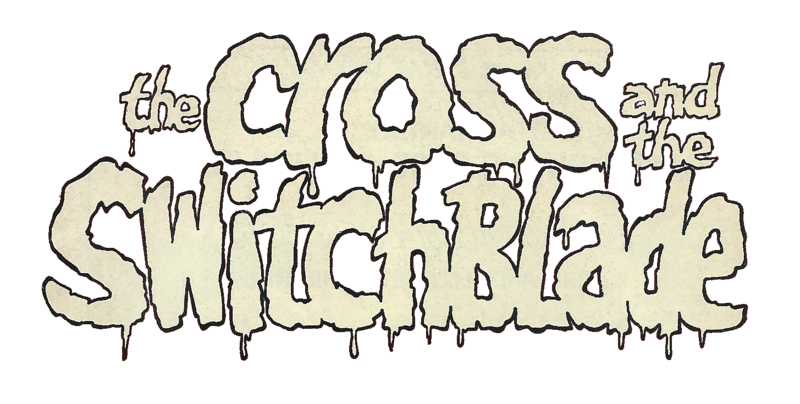 Their First Offering, 'the Cross & the Switchblade', Delivers Fierce Flows that Oscillate Between Religious Imagery and Pop Culture that Paint Pictures of Impending Doom, Dread and Judgement for Any and All whom Remain Unrepentant before Righteous God. 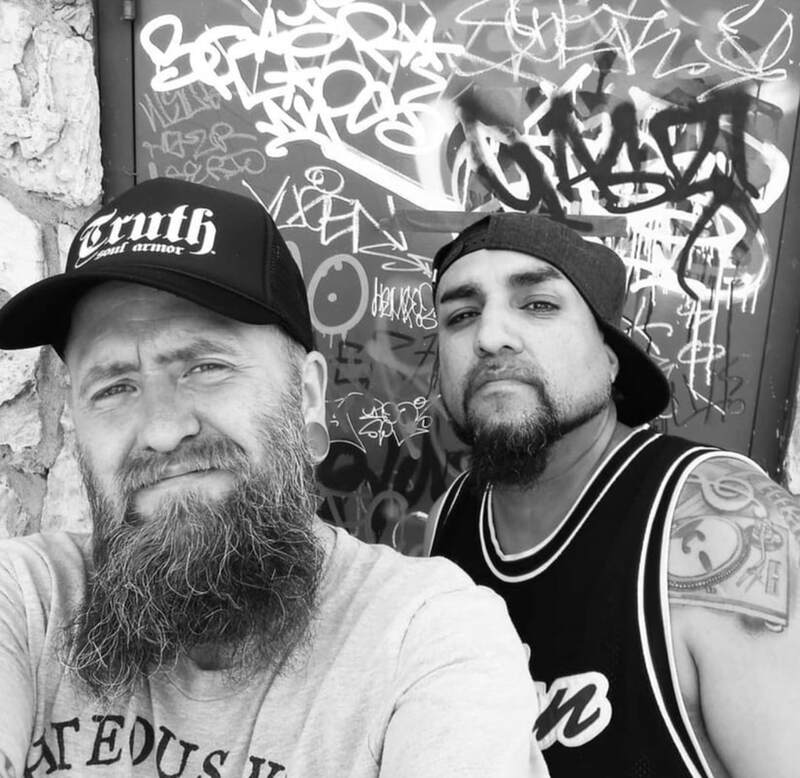 The Two Emcee's are Constantly Taking Stabs at Corrupted Religious and Cultural Authorities all-the-while Calling for True Heart Repentance to whoever Might be Listening. The Duo Took their Title from a Classic Pulp Comic Figure, Solomon Kane, a Somber Puritan who Wandered the Earth with No Apparent Goal Other than to Vanquish Evil in all its Forms, with but Two Pistols and a Sword (Like these Two Emcee's and Their Bible?). Using 'Cain' Over 'Kane' is this Rap Doublet's Attempt to Allude Strongly to their Christian Belief's and Express, in their Own Words, that 'Solomon Cain' Represents Everything they Set Forth to Put in Song: God's Wisdom & God's Wrath (King Solomon and Cain, Respectively, Found in the Holy Scriptures). Being Pelted with Dirt's Higher-Pitched, Dramatic, Emotional Delivery Juxtaposed with Khonsu's Deep, Gravelly, Straight-Forward Vocal Attack, It is Hard to Tell which of the Two are the Wisdom or the Wrath Intended. Both Distribute Equal Doses of Creative and Confronting Rap Prose; Wise, Judicious, Slaying and Slaughtering Sonnets Throughout the Album that, Almost Simultaneously, Lift and Edify, and then Drop into an Abyss, Respectively. It is a Rollercoaster Ride of Rhythm, Indeed! With Strong Desire to Deliver Their Own Soundscape Oracle to the People, The Two Lyric Lords Lay their Poetry Over Their Own Production with Follow-up in-House Mixdown and Post-Production. You Will Hear 'Solomon Cain' (Jeremiah Dirt & Khonsu) on this Album, from Beginning to End as they Take Full Responsibility for Sinking or Swimming in Your Ears, Minds and Hearts. The End Result is a Heavyweight Underground Score that Rattles Bass Cabinets and Excites Tweeters with Moody, Dark and Hard Breakbeats and Samples. Fire & Brimstone, Peaked with Wisps of Praise and Enlightenment... 'Solomon Cain'; Dirt & Khonsu, are Modern Day Prophets and the "the Cross & the Switchblade" Album is Their Sacred Scrolls in Soundwave Format.